Wilder-Fury is here, now, because Wilder-Joshua fell through. For Eddie Hearn, Anthony Joshua is integral to the viewership and success of DAZN boxing and is effectively its centerpiece. Hearn did not personally want to compromise that business venture by risking Joshua losing to Deontay Wilder. On the other hand, Wilder is a footnote with respect to Premier Boxing Champions (PBC) while the welterweight division continues to shine for the moment. And had Wilder lost to Joshua, there would still be money to be made in a rematch with Joshua in the United Kingdom. Indeed, PBC is looking to expand into the U.K. market. As far as Tyson Fury is concerned, he saw as clearly as anyone that Deontay Wilder has been outboxed on several occasions (by fighters who were less rangy and mobile than Fury) before being saved by a one-punch knockout. The calculation is that if other heavyweights outboxed Wilder, then Fury can as well. Which brings me to the point that Wilder-Fury lacks any suspense. If Fury lasts the entire twelve rounds, he should easily outbox Wilder, but a costly mistake is easy to make in the duration of twelve rounds. 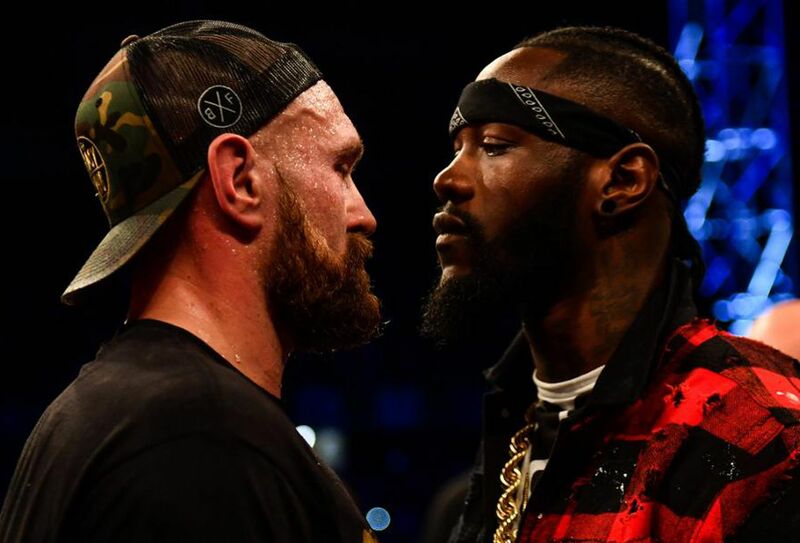 With Fury relying on his slickness and elusiveness, and with Wilder’s low punch output when dealing with a moving target, the fight promises a lack of action. Apparently there is a rematch clause for both sides. Wilder-Fury will air on Showtime on Saturday, December 1 at 9PM US Eastern with Deontay Wilder’s WBC heavyweight title at stake. The fight will be on BT Sport Box Office for UK viewers. Both Fury and Wilder are undefeated.